SC67B will take place between 21st April 2017 and 6th May 2018 at Hotel Golf, Bled, Slovenia. Documents will be available via our portal, a login will be required. Documents can be uploaded via our portal, a login will be required. All participants will be required to register for the meeting. You will need to print out your registration confirmation and bring it with you to badge collection on the first day. If you have not registered, you will be asked to wait while others that have registered collect their badges first. You can register for the meeting via our portal, a login will be required. All requests for presentations need prior approval of the session Convenor. If you would like to make a presentation, please contact the Convenor directly and request they contact av@iwc.int so appropriate arrangements can be made. All presentations must be 4:3 format and use a dark background with light text. You are encouraged to use the IWC PowerPoint template available here. Transfers can be arranged from Ljubljana Airport, Trieste Airport, Klagenfurt Airport, Zagreb Airport, Lesce-Bled Train Station and Bled Jezero Tran Station. Please note there will be a 1€ per person admission fee for reservation, handling, and personal data protection. There is a dedicated children's playroom in the Hotel Savica next door to the Hotel Golf. Slovenia is a member of the Schengen area. Entering into one Schengen member state allows persons to travel freely to all Schengen member states (Schengen area). Countries within the Schengen area are: Austria, Belgium, Czech Republic, Denmark, Estonia, Finland, France, Germany, Greece, Hungary, Iceland, Italy, Latvia, Lithuania, Luxembourg, Malta, Netherlands, Norway, Poland, Portugal, Slovakia, Slovenia, Spain, Sweden, Switzerland. The first step is to inform the IWC Secretariat by email (secretariat@iwc.int), about you needing a visa, with the following data: Your Name/Surname, Address and professional function. The Secretariat will forward your data to the Ministry of Foreign Affairs of Slovenia, which shall issue an invitation letter for you. The invitation letter is needed for the visa procedure (see below). 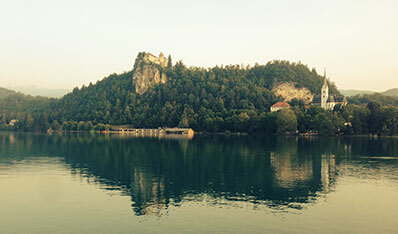 Some countries have neither a Slovenian embassy nor a visa agreement concluded with missions of other Schengen countries, in which case the applicant needs to apply for a visa at the nearest Slovenian embassy. Applicants from these countries are advised to immediately inform the organiser about this situation, as the Ministry of Foreign Affairs of the Republic of Slovenia will try to facilitate the visa procedure. Regular visa fee is EUR 60. Based on the agreements between the EU and certain countries, a reduced visa fee of EUR 35 or even an exemption from the fees can be applied for. The visa procedure is usually concluded within 15 days, provided that all required documents have been submitted. The application can be filed up to three months in advance and no later than four (4) weeks in advance of the planned trip. Deadline for registration for applicants needing a Schengen visa is 16 February 2018. Receiving the complete registration form will enable the Ministry to send you the invitation required for the visa process in due time.